Although it's not officially described in the Diagnostic and Statistical Manual of Mental Disorders (DSM), it has been suggested that compulsive shopping disorder, also known as compulsive buying disorder, is either a type of impulse control disorder, a behavioral addiction or possibly even related to obsessive-compulsive disorder (OCD). Preoccupation with shopping for unneeded items. Spending a great deal of time doing research on coveted items and/or shopping for unneeded items. Difficulty resisting the purchase of unneeded items. Research has shown that compulsive shopping behavior is often accompanied by depression, anxiety, and other negative emotions. Indeed, people affected by compulsive shopping disorder often report an uncomfortable tension that is relieved, at least temporarily, by shopping. Despite this temporary relief, many people with compulsive shopping disorder feel disappointed with themselves and depressed about their apparent lack of control over their behavior. Common items purchased include clothes, shoes, jewelry and household items, such as containers, dishes, etc., with many compulsive shoppers unable to resist items on sale, in particular. Most people who are affected by compulsive shopping disorder prefer to shop alone or online rather than subject themselves to potential embarrassment by shopping with others. It has been estimated that compulsive shopping affects around 6% of the population in the United States. Females are 9 times more likely to be affected than males. Most cases of compulsive shopping begin in early adulthood and it is rare for this disorder to begin after age 30. One recent study shows that the prevalence of compulsive shopping disorder may be increasing over time as well. Problems with mood, such as major depressive disorder or an anxiety disorder, are often common in compulsive shopping, as are the presence of other forms of impulse control disorders, such as skin picking or hair pulling, obsessive-compulsive disorder, substance abuse, personality disorders or binge eating disorder. Mental health professionals making a diagnosis of compulsive shopping disorder need to be careful to distinguish between compulsive shopping and the shopping sprees that can sometimes accompany mania in bipolar disorder. Another recent study done with shopping mall buyers showed that the compulsive buyers, nearly 9% of people in the study, were more likely to be young, less-educated females who had used some sort of substance like alcohol, tobacco or drugs. They also had more symptoms of OCD, mental distress and impulsive behavior, as well as lower self-esteem. Interestingly, these same compulsive buyers were five times more likely to fit the criteria for borderline personality disorder (BPD) than the rest of the shoppers were. 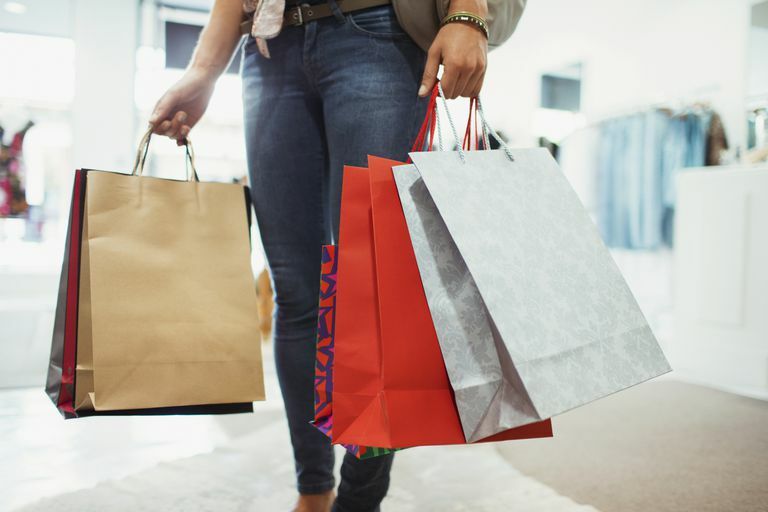 Although research findings have been mixed, there is some evidence that compulsive shopping disorder responds to treatment with selective serotonin reuptake inhibitors (SSRIs). There is also evidence that cognitive-behavioral therapy (CBT) may also be effective in reducing symptoms in many compulsive shoppers, although more research is necessary to determine what types of therapy are effective for whom. With the prevalence of this disorder, as well as the evidence that the number of people affected by it is increasing, more research needs to be done to learn how to more effectively screen and treat people who suffer from compulsive shopping disorder. Aboujaoude, E. "A 1-year naturalistic follow-up of patients with compulsive shopping disorder". Journal of Clinical Psychiatry 2003 64: 946-950. Black. D.W. "A review of compulsive buying disorder". World Psychiatry 2007 6: 14-18. Müller A., Mitchell J.E., de Zwaan M. "Compulsive Buying." The American Journal on Addictions, 24 (2), March 2015. Maraz A., van den Brink W., Demetrovics Z. "Prevalence and construct validity of compulsive buying disorder in shopping mall visitors." Psychiatry Research, 228 (3), August 30, 2015.